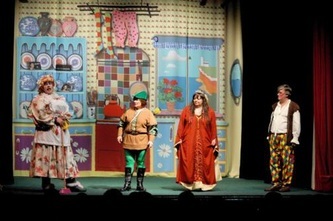 Robin Hood - Norfolk Style . 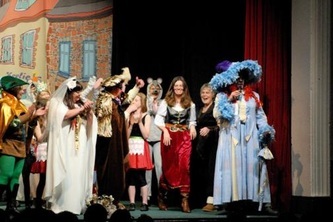 . .
My family and I joined the sell out audience last night at Hunstanton’s Town Hall to preview Hunstanton’s pantomime. 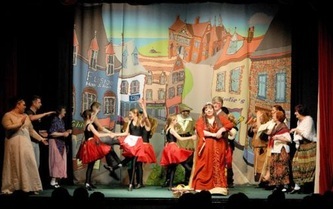 The panto opened on Thursday, 6 January to an equally good turn out. 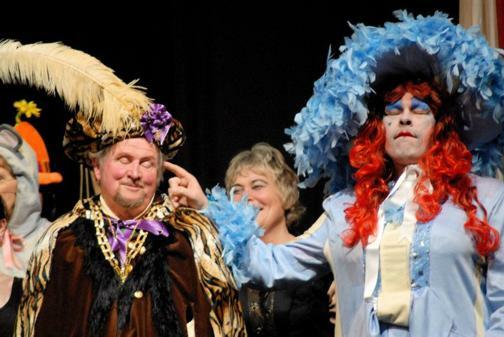 We all know how the long standing annual Princess Theatre Panto was axed last summer. This was a huge disappointment to everyone but some resourceful townsfolk who call themselves “panto angels” united to form a management team and brought an enthusiastic cast together. 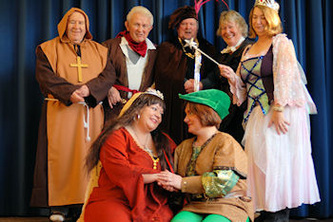 Everyone worked together to produce an original script, appropriate for setting the story of Robin Hood in Hunstanton Woods! 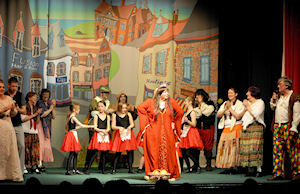 The result was a thoroughly modern panto utilising all the old fun of the traditional panto with an up-date built in. 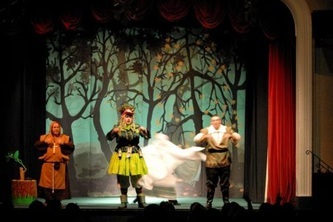 Robin Hood (played by Caroline Odd of Cherry Tree Chocolates) sang beautifully throughout and displayed the sort of bravery Robin is well known for. 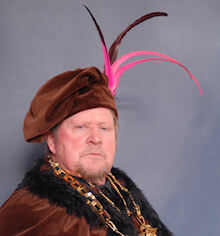 Robin Hood’s mother, Widow Hood (played by John Giller) was a hoot in her search for a new man. Will Scarlett (known as Silly Billy), who is Robin’s half brother, acted the loveable fool but came good in the end! Princess Marian (played by our very own Town Clerk Lisa Powell) was no simpering maid and had gumption. 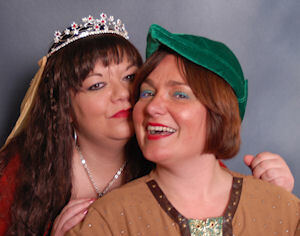 Princess Marian was gamely supported by her sister Tilly (Justine Giller with another lovely singing voice) who was equally quick to hold her own when needed to. Alan A’Dale (Max Dolby), Little John (Mark Hesley) and Friar Tuck (James Lowe) all unite to outwit the Sheriff (John Maiden who managed to push the cause of the Hunstanton Pier even as the Wicked Sheriff!) 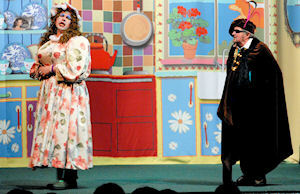 and his sidekicks (Carol Bower and John Wrigley) when the magic of the Scary Fairy (Ann McKinn) did not do the job. The tap dancing mice was my 7 year old’s favourite bit and the chorus of young “scary” dancers was favoured by my 9 year old. There really was something for everyone – the dialogue was fantastic and kept you chuckling throughout – especially all the local “in jokes” and “digs” at the local politics. I wonder if there was anyone in attendance from the Planning Department!!! Although sales have gone very well for all performances, you can still get a few tickets to this almost sold out show. Tap Dancing Mice . . . 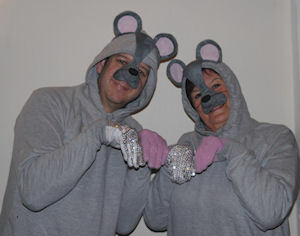 Here are the tap dancing mice in the Palace Kitchen Mouse Scene. Thanks to Kate Dunbar for the fantastic photos.